In "Encore! 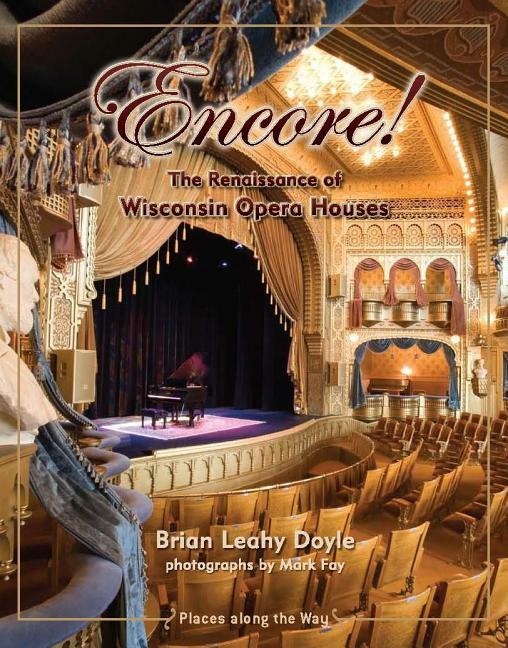 The Renaissance of Wisconsin Opera Houses," Brian Leahy Doyle chronicles the histories of ten Wisconsin opera houses and theaters, from their construction to their heydays as live performance spaces and through the periods when many of these stages went dark. But what makes these stories so compelling is that all but one of the featured theaters has been restored to its original splendor. 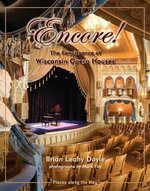 Just as the beginnings of these theaters were often the result of the efforts of local citizens, Doyle discovers that their restoration is due to the commitment of dedicated and passionate people. More than one of these revived theaters has spurred the revitalization of its surrounding downtown business district as well.